Swiggy Super Review - How Super is it ? Worth your money ? 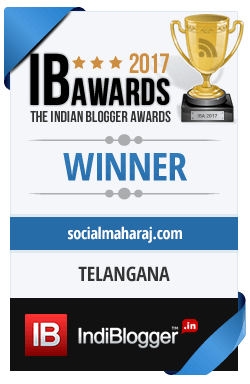 Home / Opinion & Views / Swiggy Super Review – How Super is it ? Swiggy Super Review – How Super is it ? The battle of supremacy among various firms on the internet have been dragged to alleys. No more the competition to gain customers is online, the idea is about going hyper-local. The more penetrated you are the more successful you will be. That’s exactly what the food delivery platforms are following. What earlier were just one or two players in this market, today we have a handful of them. From the biggies like Swiggy, Zomato and Foodpanda to newer entrants like UberEats. I’ve used all of them numerous times and have also shared my experience.You can read my comparison between Zomato and Swiggy, Swiggy and Foodpanda. These are some of the top rated and read posts on the blog. Haven’t tried Swiggy Yet ? Click here and use code T4XD29 to get some amazing first time discounts ! The two Food deliver apps that are installed on my phone are Swiggy and Zomato. Swiggy being the first preference most of the time. Both these platforms have a lot of exclusive restaurants and are coming up with offers to woo the customers. Be it Zomato’s Treats or Swiggy’s latest Swiggy Super. It’s been some time that I’ve been using Swiggy Super, so thought to share my experience. How Super is Swiggy Super ? My review of Swiggy Super subscription. What is Swiggy Super ? Swiggy Super is a subscription based service that stated recently. It is available for a month and 3 months plan at Rs 99 and Rs 149 respectively. Under these plan Swiggy claims of lots of benefits like Free Delivery, Surprise Treats and No Surge fees. As said I am a regular Swiggy customer and have opted for Swiggy Super. It’s been almost a month since I’ve been using this. I’m currently on the Rs 149 plan for 90 days which I thought would be good for starters and experience the subscription. Most of the things mentioned under the Swiggy Super membership have some or the other underlying condition. What are those ? Read on to find out the hidden things that Swiggy didn’t tell you upfront. 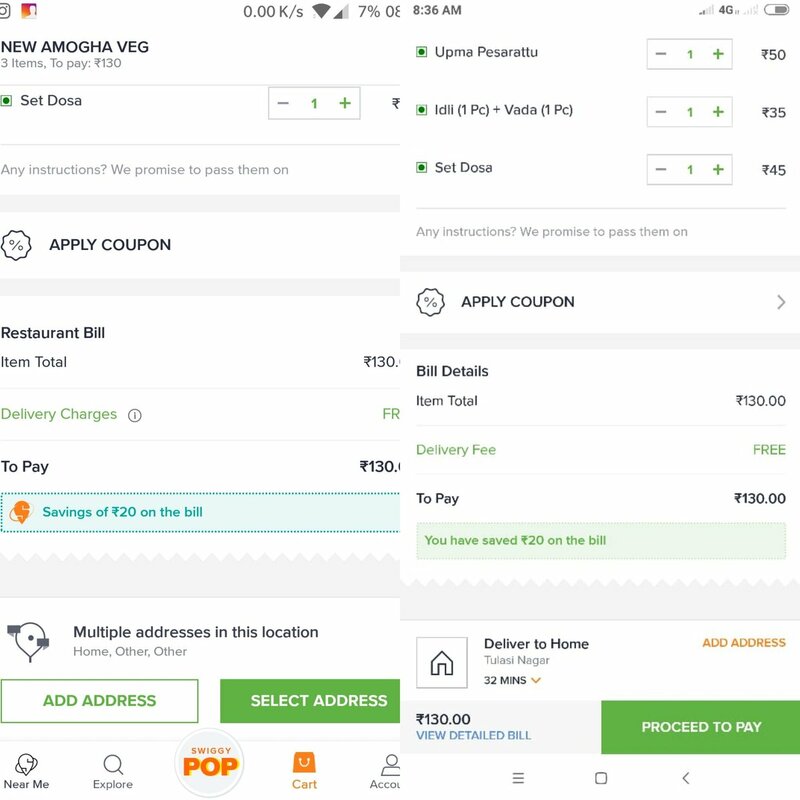 The Free Delivery that Swiggy promises under its Swiggy Super program carries a conditions apply tag. One of the major reasons I took the service was for the free delivery considering that there are instances when I order very few items. To my surprise, the Free Delivery isn’t actually free. There is a cap for it too. It was last time when I ordered 15 rotis from a nearby restaurant, I saw a bill of Rs 75 which should have been 40 ideally. Why ? Delivery charges of Rs 30 was added. Upon careful inspection of their Terms and Conditions, I learnt that Free Deliver on Swiggy Super is only for orders with a minimum value of Rs 99. (Whispers, Sahi khel gaya pencho) So if too like me are planning to take the Swiggy Super subscription for free deliveries, I’m sure you know what to do now. Swiggy Super Review – Is this worth ? Swiggy Delights Update: As of January 2019, Swiggy Delights is available in Hyderabad and you can read more about it here. Swiggy Super also mentions that there would be surprise treats on every order. Something similar to Zomato’s Treats. The day I purchased it, it mentioned that this will be rolled out ‘soon’. Well, it’s been a month and I haven’t seen any update on it yet. I expect a small item like a dessert on my orders, but haven’t seen them yet 🙁 Thus, I don’t know how much time it will take to be rolled out. About the surge fee bit, there hasn’t been any rain in Hyderabad recently so there isn’t any surge fees at all. If I ever get it, I’ll update this for sure. Is Swiggy Super worth ? Should you buy Swiggy Super ? Well, I would say you can wait for it be more beneficial. Being in the initial stages yet, the subscription program needs to offer more. I’m sure most of us have orders around Rs 200. And in such cases, one often is well above the minimum order limit. So the Free Delivery funda isn’t quite right. Until unless they remove the minimum order Rs 99 cap from their T&C. There also isn’t any special treat on your regular orders yet. Further the surge fee might be helpful in few scenarios but not all. Apart from coloring your location icon in black and orange, I haven’t seen much benefits from this. However the prices have been marginally lower than normal, I don’t see something solid in this as yet. Hoping for the folks at Swiggy to strengthen this and provide more benefits for the buck. I’m seeing that many people are reading this post and hence thought to update it. My Swiggy Super subscription expired last week and I decided to renew it one more time to see if there’s any improvement. Well, just a day after the renewal I ordered from Swiggy and frankly didn’t find any difference. I ordered the same items, from the same restaurant to the same address from two different accounts – One Swiggy Super another regular account. And guess what, there was absolutely no difference between both of them ! See the side by side picture for yourself. Next Mi Band 3 Review – the ultimate budget fitness band ? Update: I have to take back my words now, as I made full use of the deluge of ‘universal’ as well as ‘restaurant specific’ discounts Swiggy offered during this X-Mas (and still offering). Apart from free delivery, each time I got additional 10% off for being a super-user. And obviously I combined the coupons with amazonpay discounts from multiple amazon accounts. Maybe this xmas discounting has to do with additional $1bn vc funding they got. But I still think giving 3 ‘universal’ 50% off coupons in a day for a whole week is waste of vc money. As a customer, would have preferred lower sustainable discounts for longer time period. It’s been almost 2 months and i don’t think this “Swiggy Super” is worth it! For me, It’s just free delivery over Rs.99. They’re not giving good discounts, no treats nothing! There’s just one discount of PhonePay, and nothing!!! Will not resubscribe it! Waste of money according to me. I would agree with you Yajul. There hasn’t been any substantial benefit of this scheme. Free delivery below 99 at least would have made more sense to me. They do have offers but like you said nothing ‘Super’ for Super Users. Very bitter experience with Swiggy super here, currently there is a Diwali offer for new users for 50% off for 1st five orders. I wanted to avail this, but for my favorite restaurant, delivery charge was Rs 40 (with distance fee). So I bought swiggy super for a month. To my disappointment, they counted this swiggy super subscription as my first ‘order’. Now I cannot avail the any of the 50% discounts now. Customer care told me that super membership is NCNR, and offers / discounts are separate for regular and super members. Their ‘super surprises (INR49 off)’ applies only to some shady restaurants, and does not cover my favourite restaurant. Hi Anurag, I haven’t had any bitter experiences yet (thankfully) But yes I didn’t find it too helpful in terms of benefits provided. Most of the restaurants I order from dont have distance fee and all I have seen is savings of about 20Rs per order. Nothing extra, no treats, no special discounts yet. May not renew once my term is over.